Danny Meyer strikes again: Union Square Hospitality Group has signed a four-year deal to run the seasonal restaurant and catering service in Bryant Park. Open October through March, the 210-seat restaurant will be named, like Meyer’s former Central Park takeout spot, Public Fare. 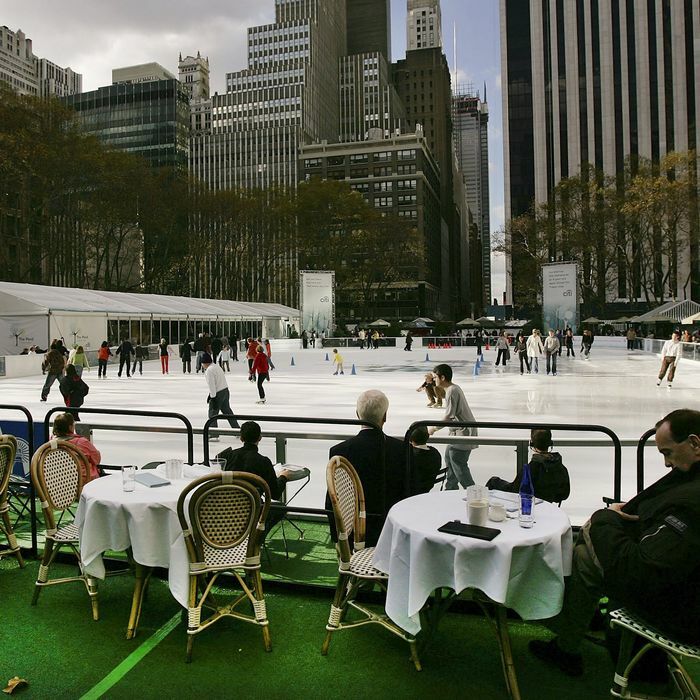 Part of Bryant Park’s Winter Village, PF 2.0 will be an all-day operation aimed at tourists and local suits. The kitchen will be run by USHG executive chef John Karangis, who tells The Wall Street Journal he will serve “simple, straightforward” food with a broad appeal. The setting and food will veer toward the casual — think soups and salads — with lunch projected to be under $20 and dinner under $30. There will also be a takeout component, as at the new version of Meyer’s Union Square Cafe.